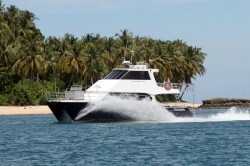 Enjoy extended periods of perfect Indo surf onboard a luxury, air-conditioned boat. Experienced skipper and crew will get you to the best, most uncrowded waves available under the given swell and weather conditions. To maximise surf time TENGIRRI aims to travel at night at a comfortable speed of 10 knots and have you on the waves on daylight. If the conditions change during the day we can travel at 15-17 knots to a better location. 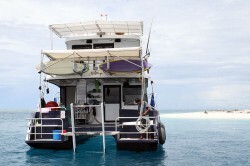 Surf anywhere you want in the Mentawais & Telos regions! Small groups (maximum of 8 onboard Tengirri)! 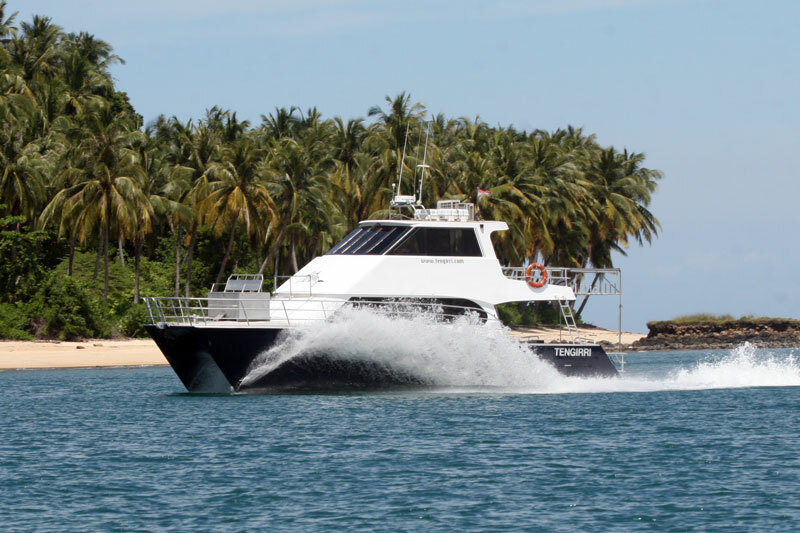 Book the whole boat for you and your mates or just book one or a few spots – either is ok.
TENGIRRI is one of the strongest, safest, and fastest vessels operating surf charters in Indonesia today. 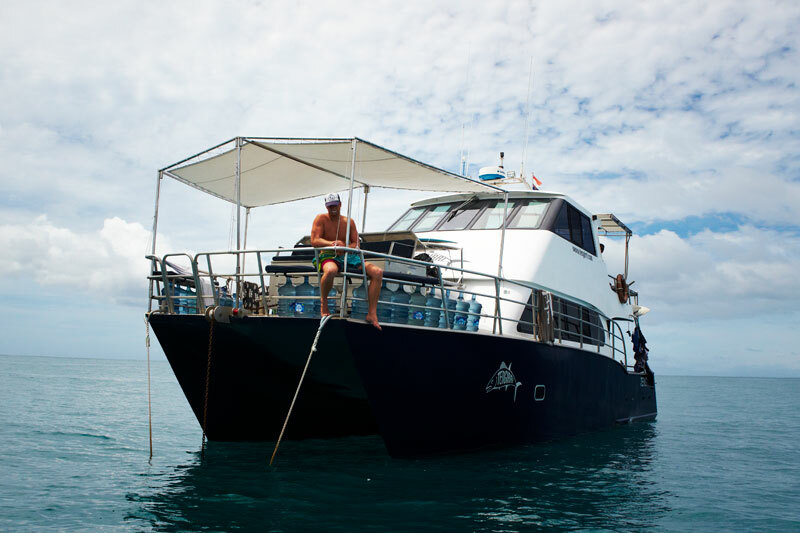 From our base in Padang we will have you surfing the morning after you arrive in Padang. To maximise surf time we try to do most of our travelling at night…but if conditions do change during the day we are able to quickly relocate you to a different spot. 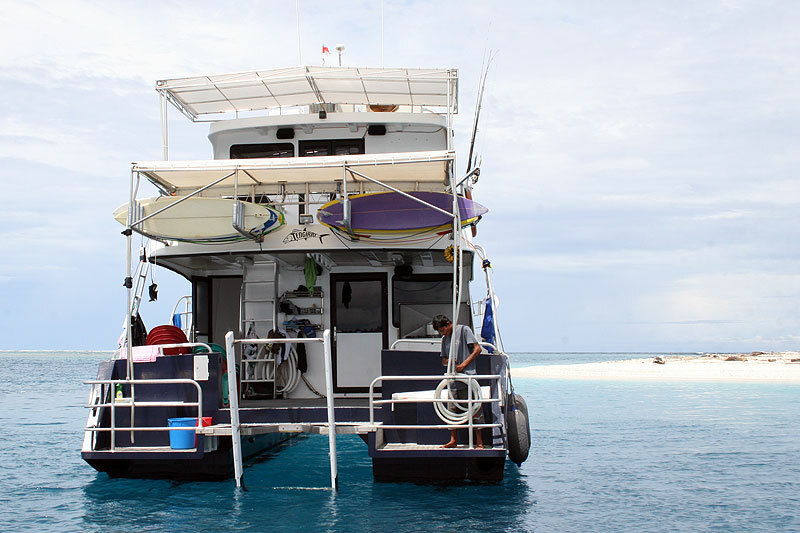 Our captain’s and guide’s experience in the area is second to none, and using this experience we can virtually guarantee you waves every day. For more info about some of the surf in this region click here. Even when you aren’t surfing or fishing you will be relaxing in style and making the most of the boat’s luxurious facilities. Come and join us for the ultimate in surf holidays! !